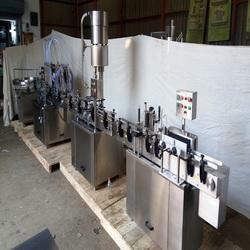 Liquid Filling Machine offered comes supported by advanced PLC control as well as photocell and servo system o as to offer precise operation support and higher filling accuracy. 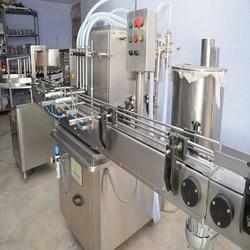 The areas these machines find use in include in food, pharmaceutical, chemical sector and others. Some of its features include easy to adjust and accurate dosing support, no bottle no filling operations, PLC programmable logic controller, multiple support of filling head numbers, provide for accurate, non-drip performance and others. 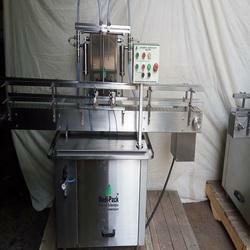 To meet the diversified requirements of our prestigious clients, we are offering coconut oil Filling Machine that prevents the overflow of liquid and control the volume of liquid in container. 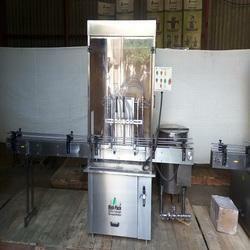 This machine is faster and apt to handle varied sizes of bottles to fill water. The two basic approaches for filling machines are to control the Fill-Level must be used for wine and the other approach is control the volume.